The Datsun 510 is known around these parts as a great little late 60s/early 70s Japanese sport sedan (competitor to the BMW 2002, among others) but it did have a predecessor that was equally as cool, but perhaps a bit more obscure. 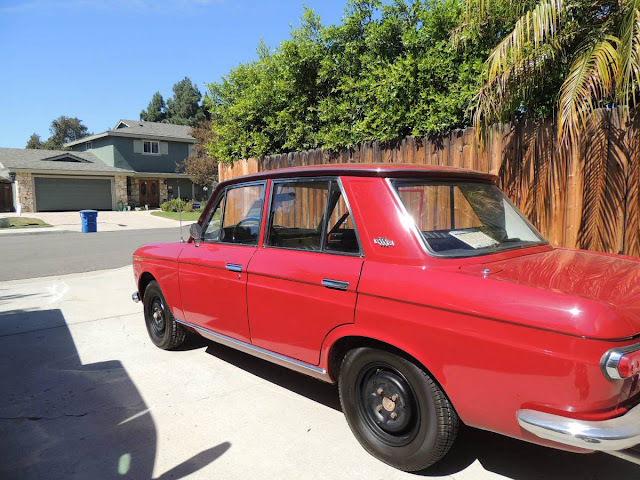 Find this 1968 Datsun 411 SSS sedan offered for $8,500 in Camarillo, CA via craigslist. Tip from Sean S.
The 410/411 series Nissan Bluebird was produced from 1963 through 1967, but it was fairly lackluster in performance (on par with something like a contemporary Toyota...yuk), at least until Nissan introduced the Bluebird SS versions in 1964, and then the Bluebird SSS version in 1965. Powering the SSS version is a 1.6 liter R16 inline-4 that puts out 96 horsepower and 103 ft-lbs of torque. The pic in the post even looks like a 2002 at first. These must be something pretty special at that ask..I have no idea but I can't ignore the cool factor. Just not certain that would be enough to separate me from 8k. Man, I want this so bad. 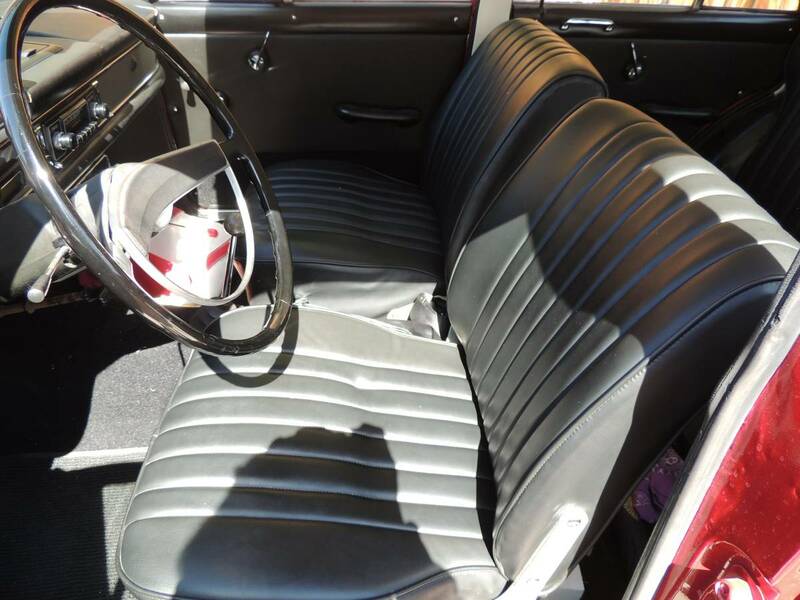 Part of me thinks it might actually be worth $8k (of someone else's money) if the paint and body work was done to a decent standard. Kinda looks like a Bellet. Good buy if folks believe Japanese collectibles are the next thing.